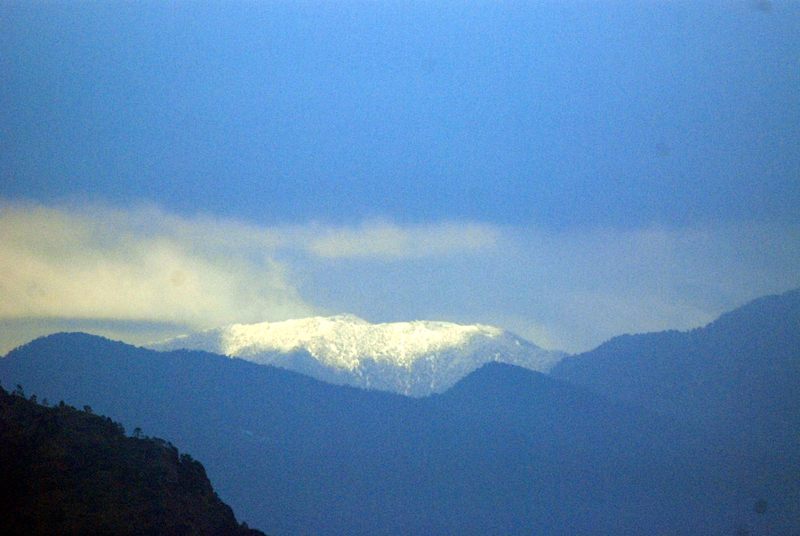 Mountains bask in glory of a fresh snowfall. If you don’t like to be alone and secluded in hills, still would like to have some great views than Sursingdhar (close to Chamba in Garhwal region of Uttarakhand in India) is the right place to be. 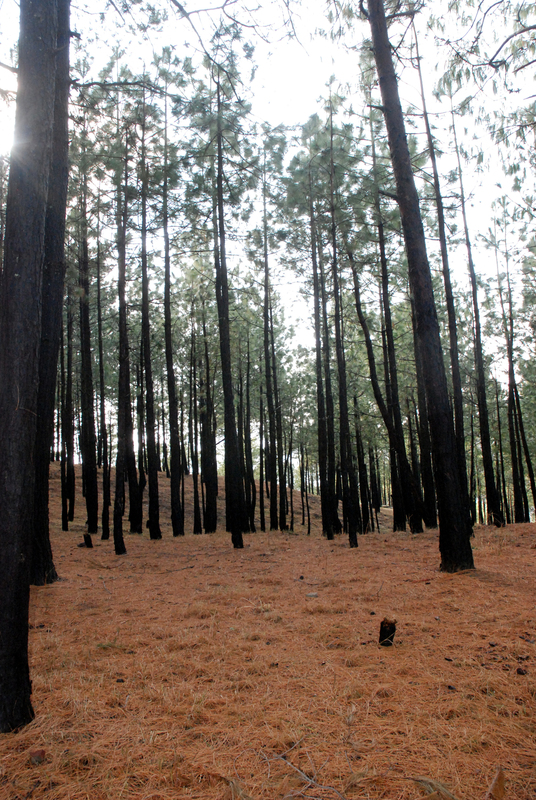 Dense pine forests around will still keep you away from the hustle and bustle of city life. It is a delight for your eyes. Sprawling on the hill towards the left is New Tehri town. After dusk the lights of this young town along with Bhagirathipuram (‘B Puram’ as locals call it) will give you a perfect feel of star gazing. Down further, you can see the Bhagirathi River, more as a mammoth reservoir for the Tehri Dam. Up north-east, you can have splendid view of Chaukhamba and Nanda Devi peaks. Down south you can see hills hiding Devprayag and holy shrine of Chandrabadani. And this all can be experienced just as you step out of your room in the lodge. 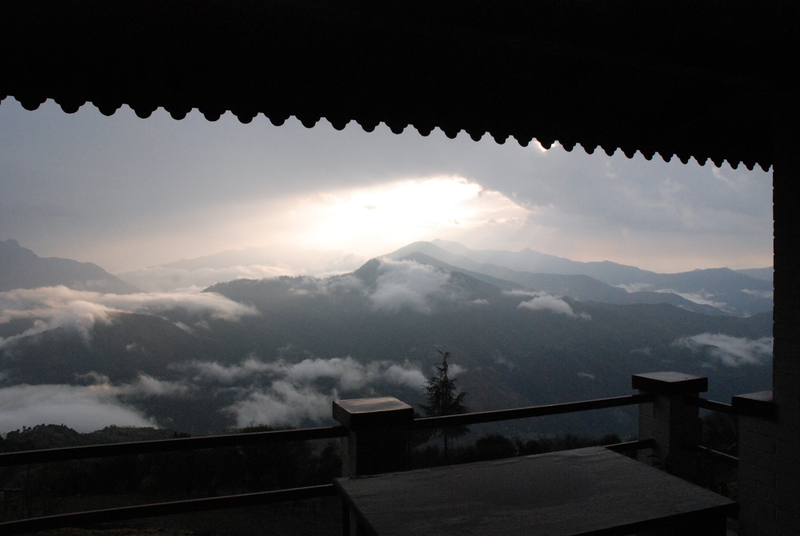 At an altitude of 1900 metres, Sursingdhar is cool and comfortable. At the peak of winter, it might also experience some mild snowfall. Whatever the weather may be, with a view so pristine, it is an ideal place for spending some lazy afternoons, doing nothings. Sunlight finds its way through the cloud cover. A beautiful view of the valley. Sunrise from behind the Chaukhamba peaks is sight not to miss. White peaks turn into pink, orange and then golden yellow, worth every minute of an early morning. 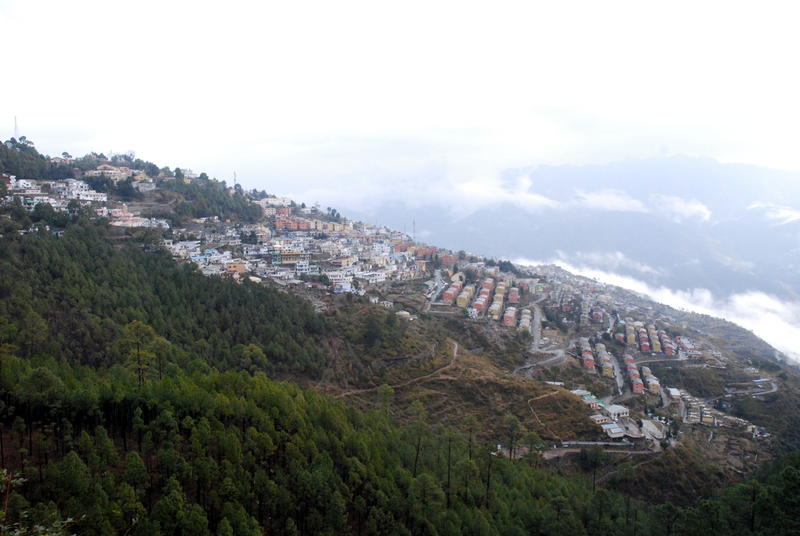 Six km from the campsite is New Tehri town, fairly young and organized. It overlooks the place in the Tehri Dam reservoir where Old Tehri town was completely submerged in 2003. A history was put to rest for ever. Talk about it and you can still feel the sorrow in the eyes of those who cherished it. Memories of that fateful day are still fresh in their minds. New Tehri town has been constructed to replicate the Old historical town- the mosque, the clock tower and all, but can probably never compensate what has been lost. You can drive further 16 km to Tehri Dam via Bhagirathi Puram. Where once used to be Old Tehri town is now the spot of confluence of Bhagirathi and Bhilangna rivers. If interested one can take a prior permission from the dam and district administration authorities at New Tehri and even have a look at the functioning of the mighty dam. Otherwise just being at the side of emerald green waters of Bhagirathi is a truly refreshing. Have a walk around the lake. Cycling from the resort to the dam would be another adventure. Sooner enough there may be a chance of some water sports activity in this reservoir. Just a km and a half away (back towards Tehri) from the campsite is the Sursingdhar village, just a hamlet of sort. Located there is Sursingh Temple which gives the area its name. He is a local deity. Stories say that he was a shepherd who died in his sleep while grazing his cattle at the same place. Later he appeared in dreams of his village people and started solving their problems. He was quickly turned to god and a temple was built. Temple has hundreds of bells hanging around. You can even try a 25 minute trek to the temple from the campsite. Just on the hill back of the campsite, amidst deodar trees is Suri Devi temple. 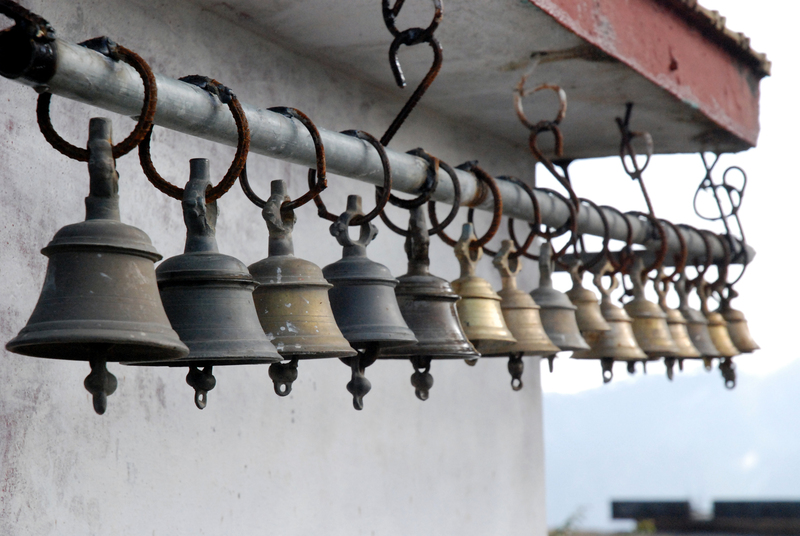 It is among the many temples in Uttarakhand which are believed to be local shaktipeeths. Temple is not big but there is place on the top which hosts some local functions and festivals. A 15 minute trek to the top is refreshing. The campsite itself is surrounded by Kanda village. One can also enjoy walk through village and interact with them to have a hands down experience of mountain village life. There are numerous other one to three days trek available close by. Explore them with the help of local staff and villagers. Clouds hovering over the mighty river below in the valley. Getting here is easy. 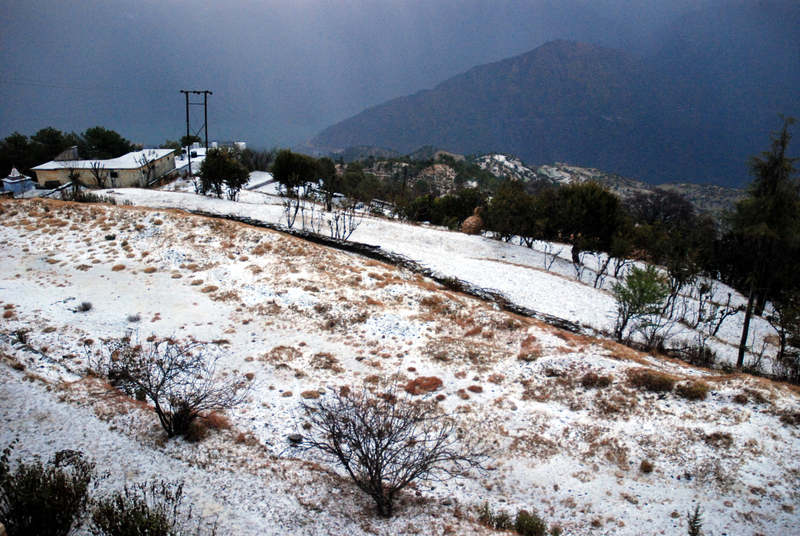 Located at an altitude of 1900 mt, SursingDhar is 10 km from Chamba town and 6 Km from New Tehri. 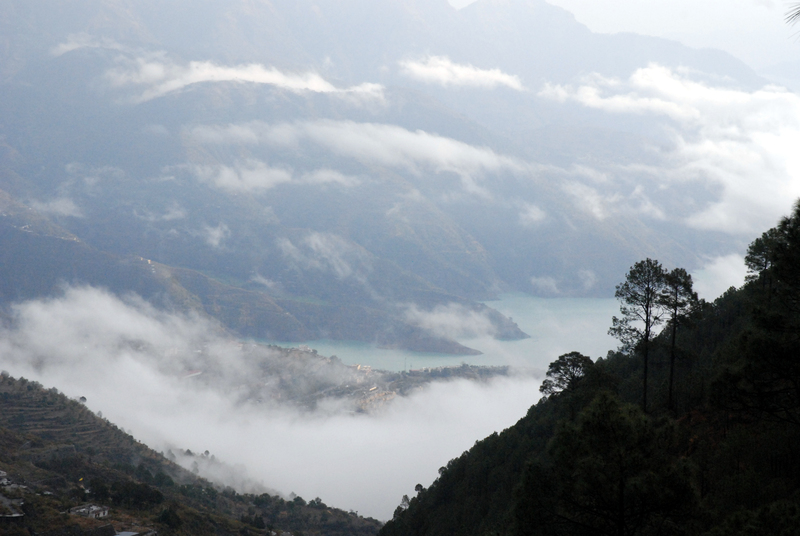 While coming from Chamba, take the Tehri road. Eight Km later leave the Tehri road and take a right turn. Sursingdhar is two Km from that point. Camp houses BSNL tower in its premises. When to go: Anytime of the year. Monsoon months can be avoided as it might be very damp and will limit your activities. Even view might not be so great. Transportation: Getting buses to Chamba from either Rishikesh or Dehradun and onwards to Tehri is quite easy. But you will need to arrange some transportation up till Sursingdhar. Himalayan Eco Lodges & Camps, SursingDhar. It has twelve rooms. Half a dozen more are due to be completed soon. There is also ample space for camping and various group activities. Besides, camp organizes various outdoor adventure activities as well, like trekking, rock-climbing, rappelling and river rafting. Few more upcoming resorts and camps in offing.